CANBERRA, Australia, January 28, 2011 (ENS) – Australian Prime Minister Julia Gillard Thursday proposed a one-year tax to pay for recovery from the recent disastrous floods that have submerged much of the state of Queensland, and other locations across southeastern Australia. 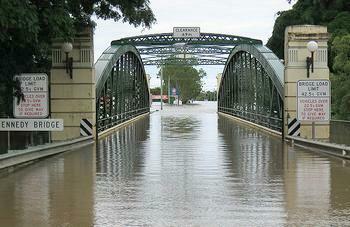 Gillard said preliminary estimates, following consultation with the Queensland government, indicate that the federal government will need to invest A$5.6 billion in rebuilding flood-affected regions, with most to be spent on rebuilding essential infrastructure. The Australian Greens, environmental groups and the renewable energy industry opposed the plan, blaming climate change for the widespread flooded and demanding that the government cut subsidies to the coal mining industry to fund recovery. The Prime Minister said the government will rebuild Queensland while delivering a budget surplus as promised in 2012-13. But she warned that recovery could cost even more than today’s A$5.6 billion estimate. “It is important to note that estimates of the impact of the floods are preliminary, and do not take into account what is expected to be a hit to government revenues as tax receipts fall in the aftermath of the floods,” Gillard said. The government plans to make A$2.8 billion in spending cuts, including removing industry assistance and cutting back other green programs by abolishing the Green Car Innovation Fund and the Cleaner Car Rebate Scheme and making other cuts – most of them to environmental programs. 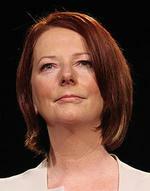 Gillard plans to reduce and defer spending on the Carbon Capture and Storage Flagships and Solar Flagships programs and the Global Carbon Capture and Storage Institute. Capping annual claims under the Liquefied Petroleum Gas Vehicle Scheme. The LPG Vehicle Scheme provides grants for the LPG conversion of a registered motor vehicle or the purchase of a new vehicle fitted with LPG prior to first registration. But on Thursday the Prime Minister announced that from July 1 the LPG Vehicle Scheme will be capped at 25,000 claims for each financial year for the life of the scheme. The government will also cap funding for the Renewable Energy Bonus Scheme – Solar Hot Water Rebate, which is available to help homeowners, landlords or tenants replace their electric storage hot water systems with solar or heat pump hot water systems. Eligible households can claim a rebate of $1,000 for a solar hot water system or $600 for a heat pump hot water system through the rebate. 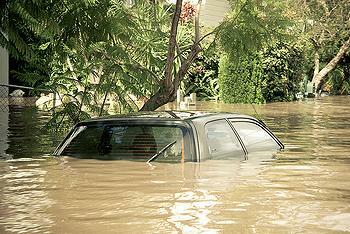 To help pay for flood recovery Gillard said the government will halt Round Two of the Green Start Program. In the first round, the government funded the delivery of on-site home energy assessments to improve the energy efficiency of homes. In the second round, the government had planned to seek proposals from community and welfare NGOs to improve energy efficiency in homes of low-income and disadvantaged Australians. The Gillard government will cap funding for the 10-year-old Solar Homes and Communities Plan, which offers A$8,000 for the installation of solar photovoltaic systems. In addition to the planned A$2.8 billion in spending cuts, A$1 billion will be freed up by delaying some infrastructure projects. The new tax on people earning over $50,000 is expected to raise $1.8 billion. But the Australian Greens, whose support the Gillard government needs to stay in power, are opposed to the levy. The full tax on excess profits by the coal mining industry, as recommended by Treasury, should be imposed with half set aside for future natural catastrophes in Australia, Greens Leader Bob Brown said in Hobart last week. 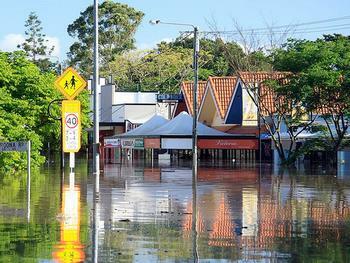 “Scientists agree that current floods come from record-high temperatures of Australian oceans this season,” said Brown. “It is unfair that the cost is put on all taxpayers, not the culprits,” Senator Brown said. Australia’s largest environmental group, the Australian Conservation Foundation, today also called for the federal government to fund flood recovery by cutting subsidies and tax breaks that promote fossil fuel use and greenhouse pollution, not by slashing funding to climate action programs. 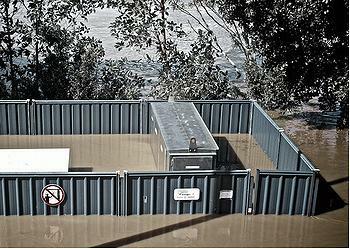 It makes no sense to fund the clean-up of the worst floods in Australia’s history by cutting investment in climate change solutions, according to the Clean Energy Council, an industry association of more than 440 renewable energy and energy efficiency member companies. Clean Energy Council Chief Executive Matthew Warren said the Gillard government is in danger of losing its way on delivering an effective climate change strategy for Australia by assuming a carbon price, currently under negotiation, will be the “silver bullet” to address the problem.